Old Corrugated Cardboard, also popular as OCC in the industry, is relatively easy to be pressed. A small cardboard compactor with only 10 tons compressing force, or a heavy duty baling press machine up to 200 tons compressing force, can easily press this. Therefore, you have the flexibility to choose either a vertical cardboard baling machine, a manual-tie horizontal baling machine, or a fully automatic horizontal cardboard baler. 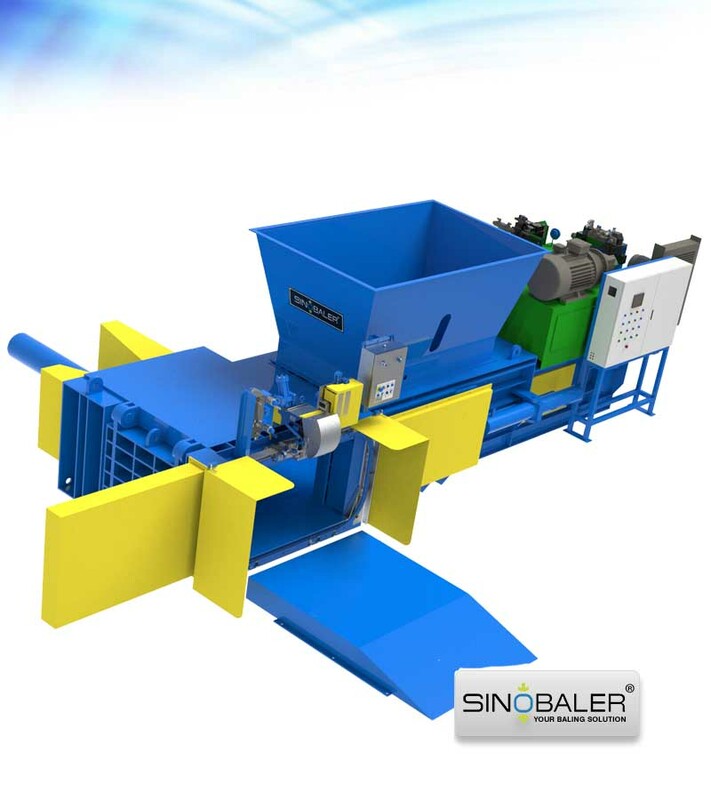 How to choose a suitable cardboard compactor (carton baling press machine) for your OCC baling? Check the volume of OCC that you handle daily. 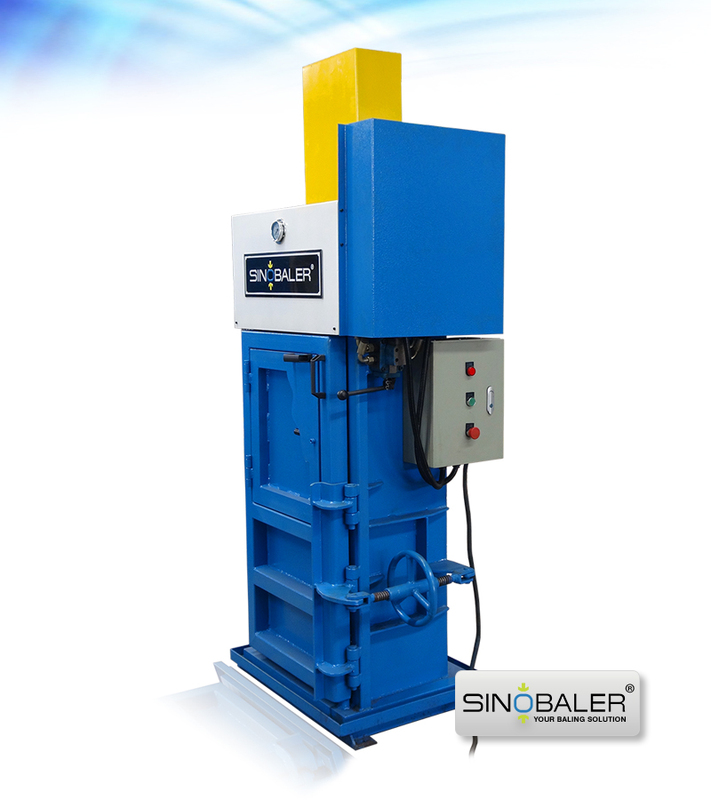 Vertical baling machine is with limited chamber size. You have to feed a number of shots to make one bale. With vertical baling press machine, bale strapping will be done manually, same with material feeding unless the baling machine design is modified to connect with an in-feed conveyor. 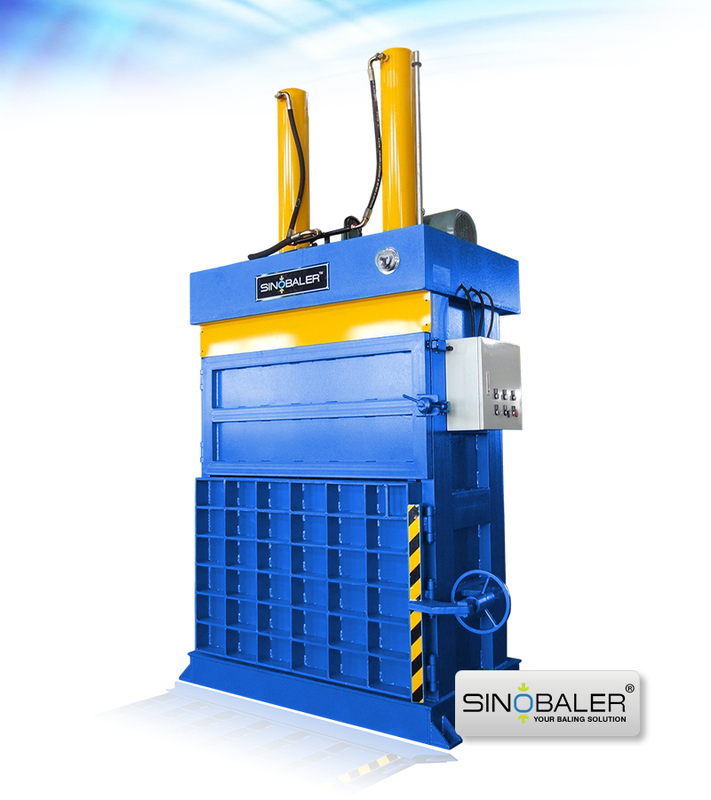 All these factors restrict the efficiency of vertical baling machines. If your expected hourly output is below 1 ton, vertical cardboard compactor machine should be the right choice for you. However if your expectation is above 1 ton, you can either consider acquiring more than one units of vertical baling press machine or simply switch to a horizontal baling press machine . Horizontal baler is categorized into 2 types – manual tie cardboard compactor and auto tie cardboard compactor. Both can be equipped with in-feed conveyor to achieve full automatic feeding. The main difference between these 2 types will be the bale tying process. For a manual tie horizontal baling machine, wire threading, wire cutting and wire tying are all to be done manually. 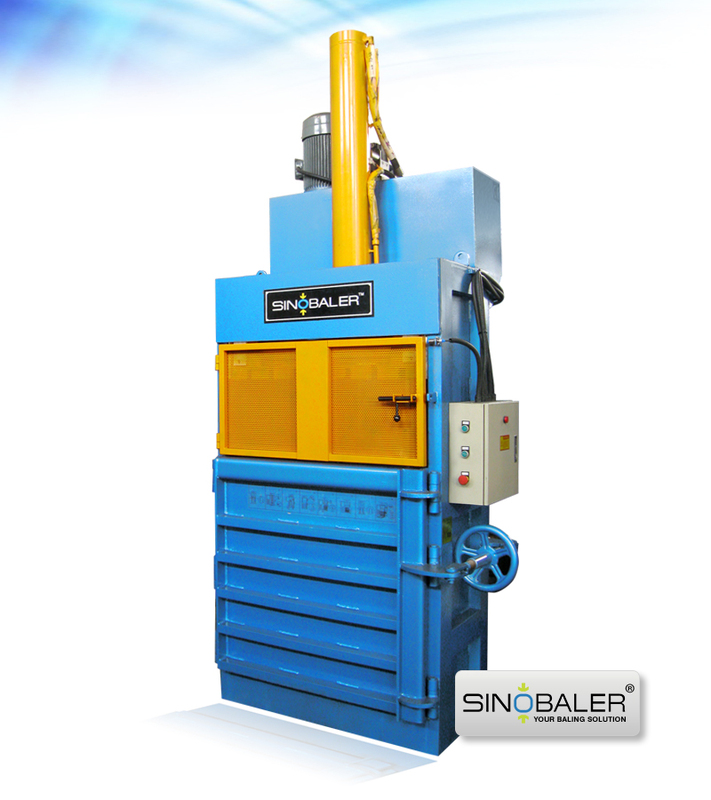 As compared to an auto tie baler, all these process are done automatically to achieve optimal efficiency. When your expected hourly output is below 2 tons, you can consider the manual tie cardboard baler; for hourly output above 2 tons, auto tie baler is naturally your perfect choice. Do take into consideration for the labor cost in your country. 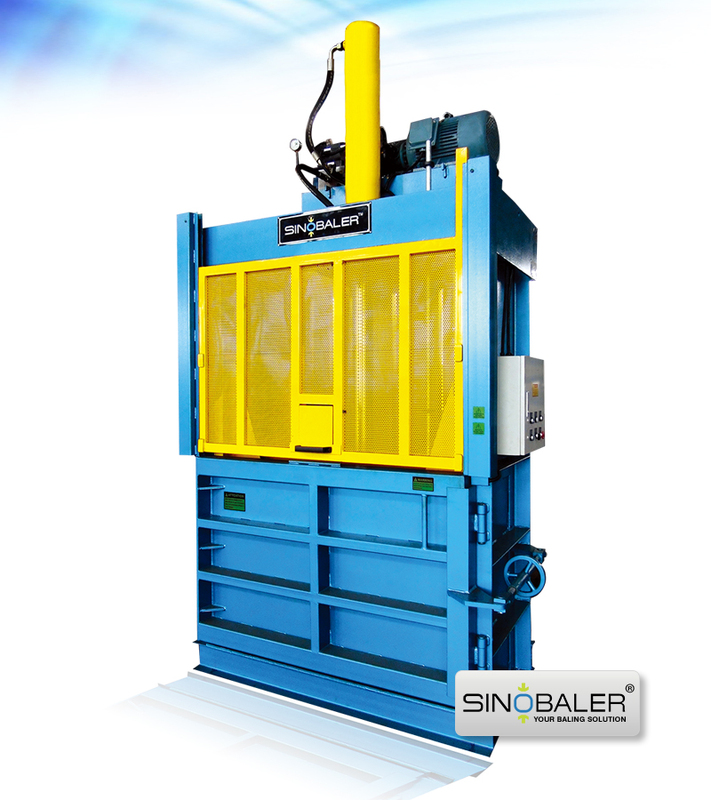 Both vertical baler and manual-tie horizontal baler will require significant amount of manual operation. If labor cost is not an issue in your country, you may consider more on vertical baler or manual-tie baler, rather than the fully automatic series, as long as your daily output is below 20 tons. 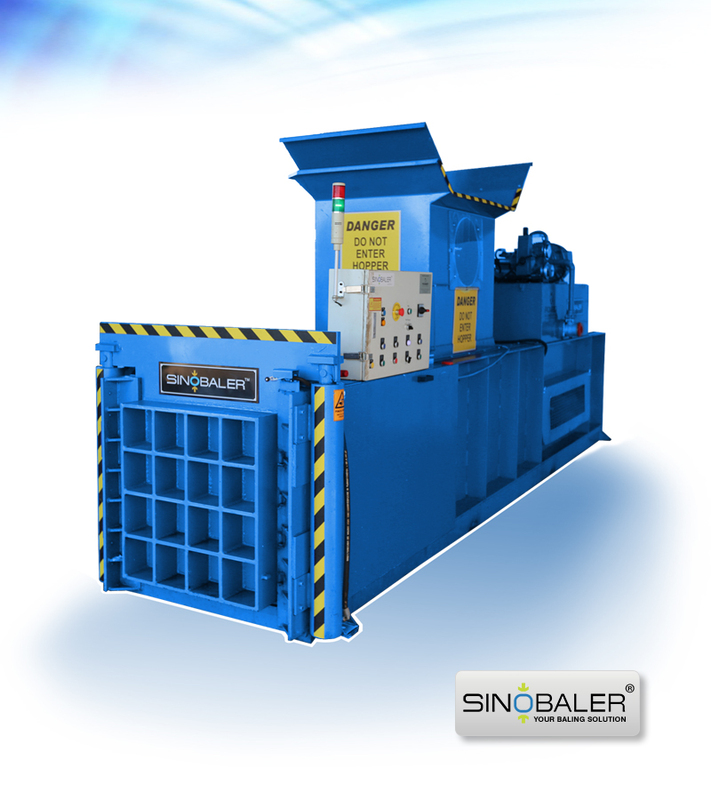 However for areas with high labor cost, a fully automatic baler is definitely more favorable if you are handling large amount of OCC (15 tons and above) daily and with high expectation. Check the size of OCC you are baling. Large pieces of OCC will require bigger feed opening so as to easily feed the material into the chamber. Bigger feed opening corresponds to bigger chamber, and bigger chamber means higher efficiency because you can load more material in each shot of feeding. Depending on your recycling line, you can choose between in-feed conveyor and cyclone as the feeding device. 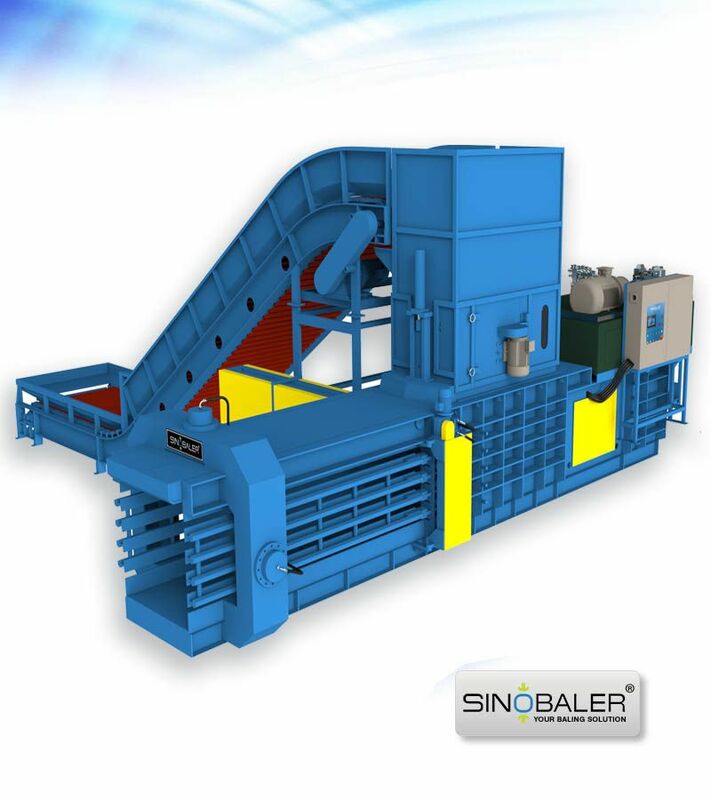 In-feed conveyor works independently, and can feed original sizes of OCC into the baler; while cyclone system is for shredding the OCC into shreds before delivering to the baler for baling. Again, choice on this matter is every much depending on your exact recycling plan. If your OCC bales are to be loaded into export containers or simply be loaded into trucks for inland transportation, you need to choose an appropriate chamber size to get optimum bale size. For container loading, bale size needs to be well calculated based on the container size (normally 40’ HQ) to make sure the container can be fully filled without any wastage of space. The more you fill into the container, the more you can save on freight. Also, pressure force of the baler is also a critical factor. Higher pressure force makes higher bale density, and a container can fill more higher density bales than lower density bales, which gives you another way to save your export freight. Final advice to you is that when you choose an OCC baler, do consider your future business expansion. Always choose the cardboard compactor with the baling capacity above your current volume. View more PROSINO cardboard&carton shredders or granulators for further size reduction purpose.